The final decade of both the twentieth century and the second millennium, the 1990s held years of optimistic uncertainty for the Western world. Prosperity was on the rise as everything hi-tech was booming, but what would happen when Y2K arrived? Rock in the nineties mirrored that atmosphere as the phenomenal success of hip-hop soared alongside the ascending angst of grunge. 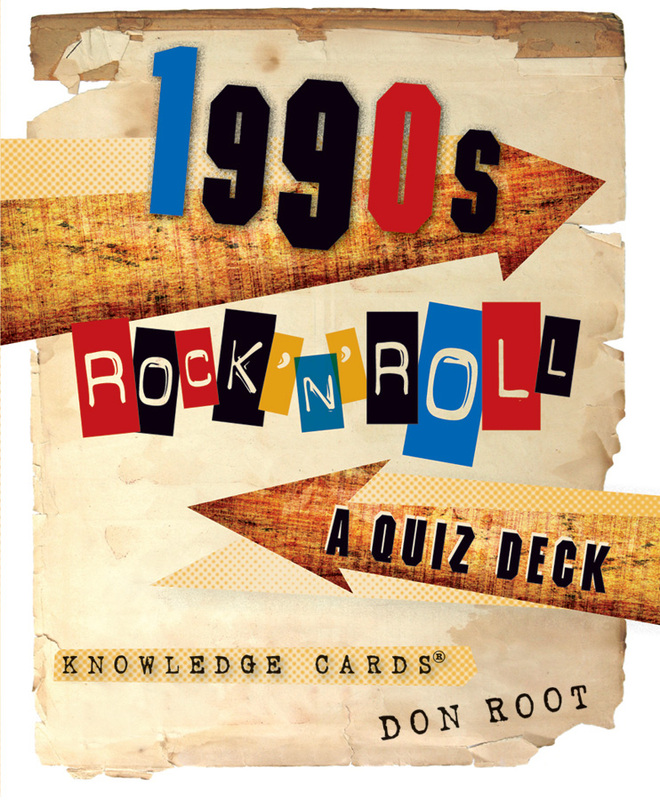 With questions on the fronts and concise answers on the backs, this deck’s 48 cards cover the wide spectrum of nineties rock. The fifth deck (and fifth decade) in the series, 1990s Rock ’n’ Roll entertains the solitary reader and generates raucous, multiplayer sessions. Music is a key to memory. This deck rewinds minds: it’s neuroscience with a chart-topping 1990s soundtrack!